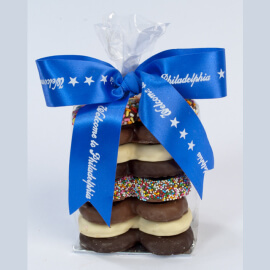 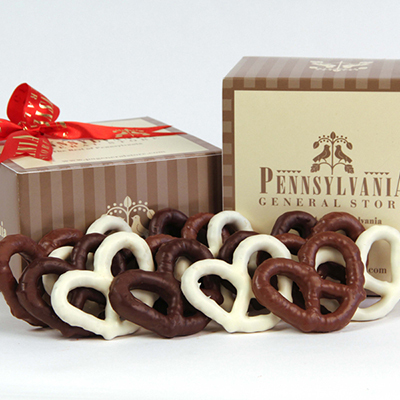 Your guests will love this classic Pennsylvania combination of sweet chocolate and salty pretzels. 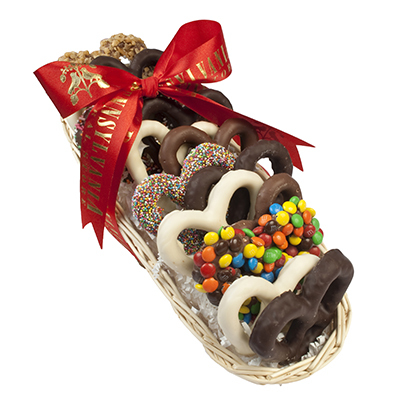 Each bag is filled with assorted Asher's chocolate covered pretzels in milk, dark, white and toppings. 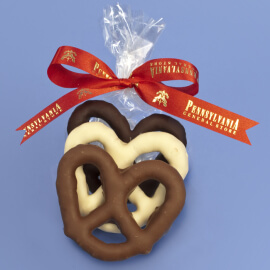 They are presented in a clear cellophane bag with a ribbon. 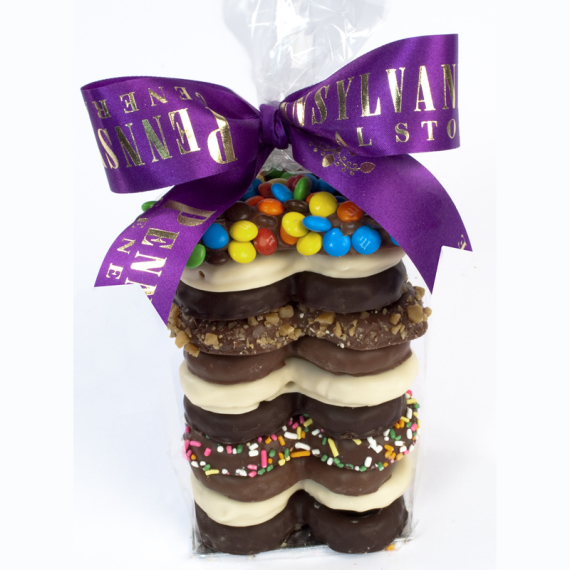 Custom ribbon colors and printing are available with advanced notice.